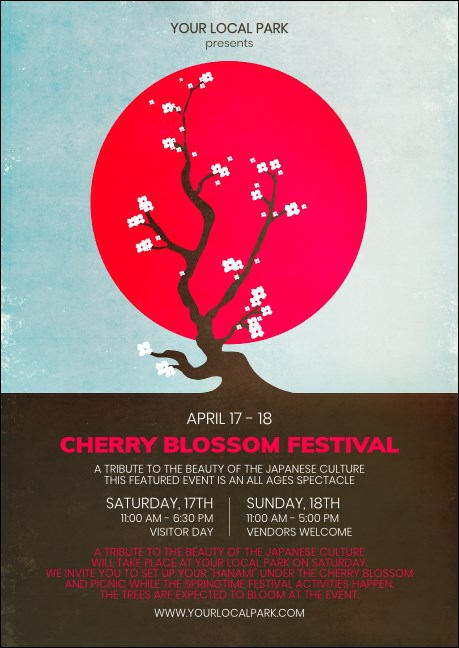 Bring out the best of spring and invite your guest list to join you in celebrating a lovely, historic Japanese custom when you send out Cherry Blossom Circle Postcards for your festival. This Postcard template is designed to look like an elegant painting and features a beaming red moon rising in a pale blue sky with a delicate cherry tree in front. TicketPrinting.com helps you celebrate the best part of spring.